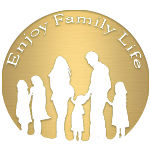 Signature_lng on transparent – Enjoy Family Life! Parenting Happy and Responsible Children - the Guidebook Every Parent Should Read. straight through on To Be! Not to Try. I coach people through social-technological solutions with yoga wisdom to enjoy a wonderful life with their family and career. I spent 24 years in SE Asia, where I learned that powerful family relations help people to survive and thrive there, enjoying life. Also concerned about Rural economic-social Development empowering healthy families. To Be! Not to Try. OH My! What an Awesome Family Night! Copyright 2009 to present by Enjoy Family Life!